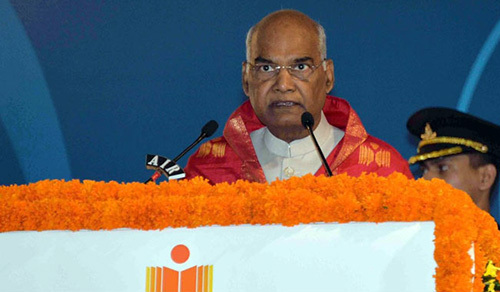 President Ram Nath Kovind on Sunday said that the best scientific universities and institutions of learning are not just teaching shops or degree factories but increasingly they are sources of innovation and incubators of technology and technology-driven start-ups. "The knowledge ecosystem of public investments in science, academic institutions and universities, research laboratories, commercial applications and private enterprise has an almost magical potential. Its best example is, of course, Silicon Valley in the US. At the core of Silicon Valley are basic science and technology campuses and their talented faculty and students," he said. "IIT Hyderabad is not envisaged as just an add-on to this ecosystem. Rather, it needs to be the hub of this ecosystem. It must be the connecting tissue and the catalyst for a greater synergy."